Don’t buy items just because it’s on sale. This is one tip which Laisani Vuibau Uluilakeba said is important when out shopping. The Westpac Bank Labasa branch Personal Banking manager stressed the word sale is possibly responsible for more impulse shopping than almost any other word. Mrs Uluilakeba said: “Remember that a bargain is not a bargain if it’s not you, doesn’t fit correctly, you don’t love it, or it doesn’t fill a legitimate gap you have and is therefore a real need. “Spending money on a $10 shirt or shoes or make-up or a DVD or anything else that you never wear (or wear only once) or use is a waste of that $10. “We justify it by saying “oh it’s on sale, it’s only $10” but those $10 add up. You wouldn’t throw $10 out the window, so don’t throw your hard earned cash out the window on items that appear to be a ‘bargain’ due to their discounted sale price,” she said. She noted people should only buy items on sale when it’s something that is on their list and is within their budget. 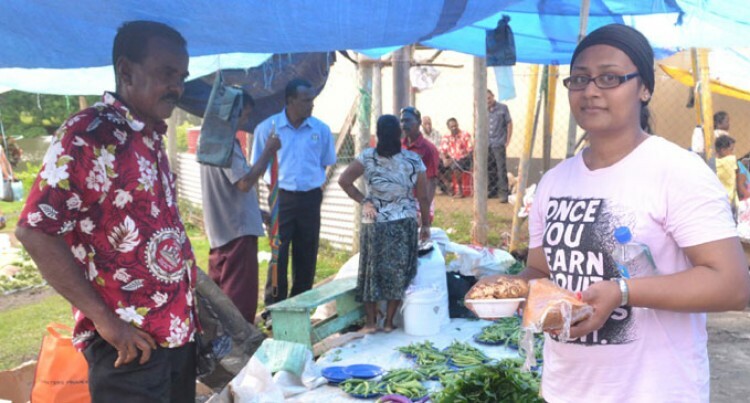 The young mother of one is originally from Mokani village, Bau in Tailevu and is married to her dear husband George Uluilakeba of whom she enjoys she with twice in a month. Her husband ensures she has a shopping list prior to avoid impulsiveness when out shopping. “Shopping list is a must carry and use which is my number one tip for good reason. “Sometimes I overspend or buy things i don’t want, don’t need and never end up using because i haven’t prepared properly. “This is our hard earned cash and precious time we are spending and it’s worth a few minutes of preparation, so before you set off on your shopping trip, prepare. “Review what you already have in your closet, cupboards, home or garage, then write a list of the ‘gaps’ you have and the needs this item will fill. “Make sure they are genuine needs – not frivolous wants (there’s a big difference between the two). The amount she spends while out shopping must range from $150 to $200 but not more than that and New World is her preferred supermarket. She also shares an important lesson which is never shop when you are tired, hungry, bored or upset. “Never shop when you are tired, hungry, bored or upset because it might lead to over shopping and buying of things you don’t want or need. “If you are feeling any of these emotions, don’t go shopping. Do something else until you feel more of an emotional even keel. The 27 year old sets her interests as travelling, reading cookbooks, magazines, socialising and fellowshipping but her hobbies are cooking, baking and cleaning.